Whenever demands on automating the shotcrete process are encountered, CL08 is a sophisticated solution for use with narrow site conditions. Applicable for Wet or Dry spraying process, the shotcrete manipulator system relieves the spraying personnel and increases productivity and working safety. 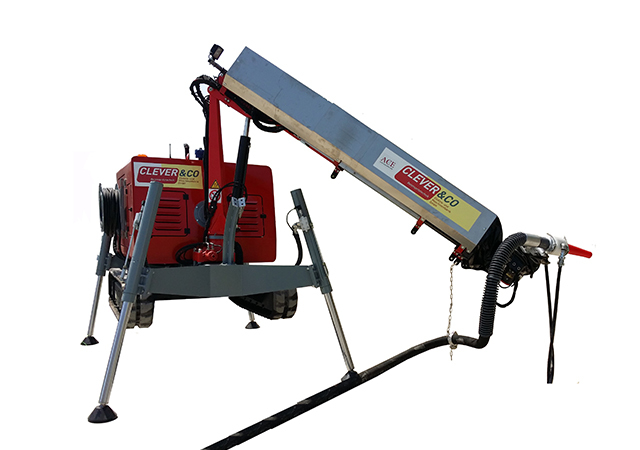 The expertly engineered shotcrete manipulator system has been developed to incorporate a broad boom reach with high structural safety. An inclinometer based monitoring system as well as 4 earth –pressure monitored outriggers ensure the highest stability against overturning. Both crawler tracks can be blocked by a hydraulic acting foxed brake. The integrated dual power sources allow for either Diesel or Electric drive. All movements of the boom and the crawler tracks can be controlled by the standard radio remote control. A hydraulically extendable boom as well as the three-way nozzle actuator allow for extremely versatile shotcrete spraying.